The word “mass” elicits a host of images. A mass of people just ran into the breezeway to escape the monsoon showers outside the building I type in. Scores of people across the world are certain to be celebrating the Mass at this moment, in churches both tiny and massive in size. Most fundamentally, there is mass in its scientific context, i.e. mass as the sum total of matter present in an object. 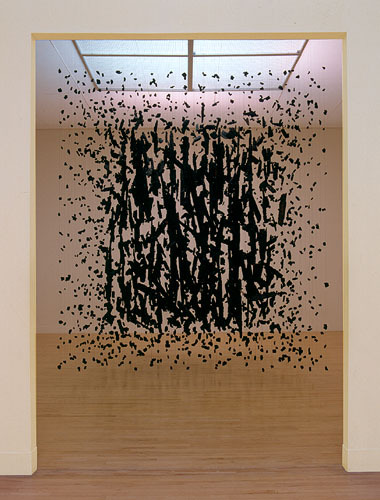 In all of these senses, Cornelia Parker’s Mass (Colder Darker Matter) acts as a perceptual and conceptual metaphor.